I love heist stories. True or fictional, filmed or written; it doesn’t matter. Any tale of a well-planned robbery is catnip to me. But like any connoisseur, I’m picky. Reading about real-life heists has made me dislike overly complicated fictional heists, like the wackiness on display in the Ocean’s Eleven films. Real-life heists — at least the ones that work — usually involve the smallest possible number of people, and the simplest possible method to get in and get out. Heist films (and novels) invariably follow the same plot structure. It’s a story in three parts; the planning stages, the heist itself, and the aftermath. The heist itself can take many forms, and it’s always exciting to see a heist that’s creative and fresh, but the overall story is usually as rigidly structured as a haiku. I also love the heist film’s ability to implicitly or even explicitly comment on America’s capitalist economic system. A group of skilled professionals joining forces to expertly and efficiently make off with the biggest possible haul of cash or saleable goods has resonance in a society that values the almighty dollar over nearly anything else, and in which “legitimate” business endeavors often cross the line that separates the legal from the illegal. 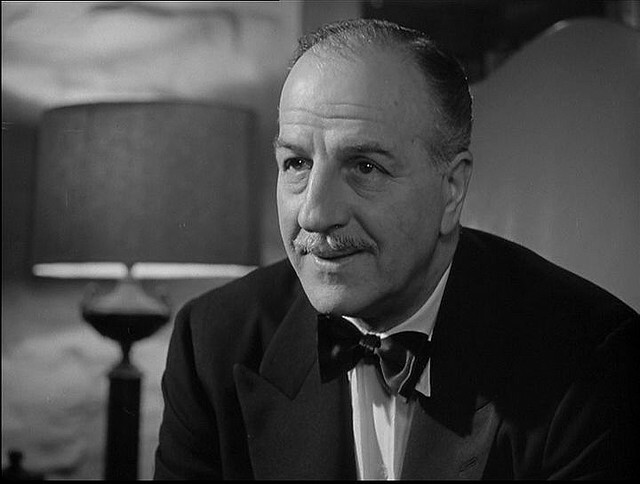 Emmerich is the “money man” behind the scheme in The Asphalt Jungle. He’s a wealthy attorney who is outwardly legitimate, but is privately bankrolling a heist led and planned by the recently paroled Erwin “Doc” Riedenschneider (Sam Jaffe). 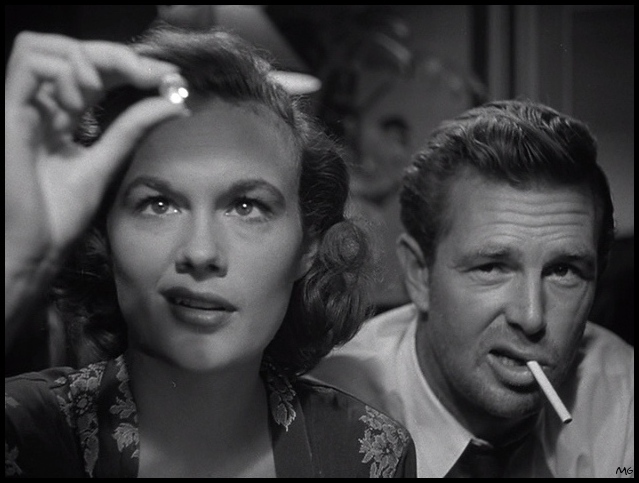 In addition to Jaffe and Calhern, the main players in The Asphalt Jungle are Sterling Hayden as the ruthless career criminal Dix Handley, who provides the muscle on the job; Jean Hagen as “Doll,” Dix’s friend and potential love interest; Anthony Caruso as the safe-cracker, Louis Ciavelli; James Whitmore as the driver, Gus; veteran character actor Marc Lawrence as “Cobby,” the bookie who helps coordinate the heist; and of course the luminous Marilyn Monroe, who was just beginning her career in Hollywood, as Emmerich’s young mistress, Angela Phinlay. Every actor in The Asphalt Jungle plays their part perfectly, which is one of the many reasons this is a film I never get tired of watching. John Huston is at the top of his game here, and not just in terms of directing his actors. Huston and his cinematographer, Harold Rosson, created something that is really beautiful to look at. Nearly every shot in the film is a masterpiece of framing and lighting. Also, the decision to only use Miklós Rózsa’s score at the beginning and end of the film was a really smart decision. 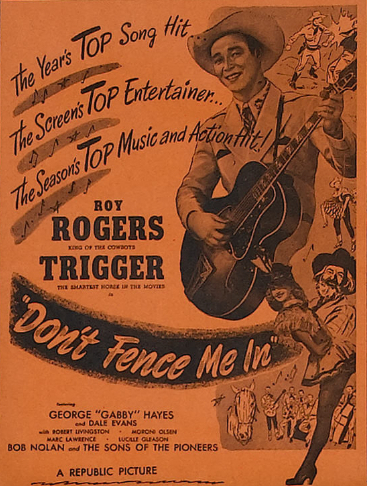 Film scores are often the single element that dates the worst, and even though I love Rózsa’s high-tension scores for noir classics like The Killers (1946) and Brute Force (1947), the absence of a score for most of its running time gives The Asphalt Jungle a sense of documentary realism. The script for The Asphalt Jungle by Huston and Ben Maddow (based on the novel by W.R. Burnett), is great. It’s full of rich, quotable dialogue. The plot is tightly constructed, but complicated enough that more than one viewing of the film is necessary to see everything that’s going on. The majority of the film was shot in Los Angeles, mostly in Metro-Goldwyn-Mayer Studios, but it takes place somewhere in the Middle West. The opening shots of The Asphalt Jungle were filmed in Cincinnati, although the city in which the film takes place is never identified. All we know is that it’s a small city in the middle of the country that’s driving distance from Kentucky and is probably not Chicago. The Asphalt Jungle is a groundbreaking heist film. There were plenty of movies about crime and criminals made in the first half of the 20th century, going all the way back to the short film The Great Train Robbery (1903), but The Asphalt Jungle changed the game. The Killers (1946), White Heat (1949), and Gun Crazy (1950) all detailed well-planned robberies, but we really didn’t see much of the robberies themselves. The Asphalt Jungle depicts its heist from start to finish in ways that pushed the envelope of the Hays Code’s rules about depictions of criminal enterprise. I’m not sure if we’ll see a heist this meticulously detailed again for a few years, until Jules Dassin’s Rififi (1955) and Stanley Kubrick’s The Killing (1956) (which also stars Sterling Hayden and takes a lot of cues from The Asphalt Jungle). 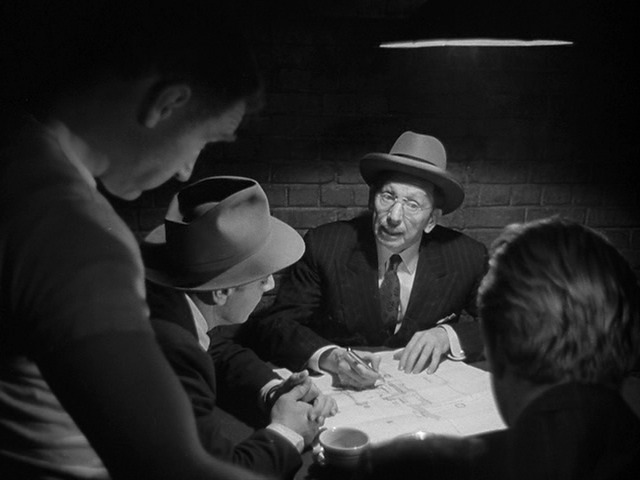 But The Asphalt Jungle is an important heist film not just because of its detailed depiction of a well-planned robbery. It’s an important heist film because its intricate plotting, well-drawn characters, and believable depiction of a professional criminal underworld created a template that is still being followed decades later in films like Thief (1981), Reservoir Dogs (1992), Heat (1995), and Inception (2010). 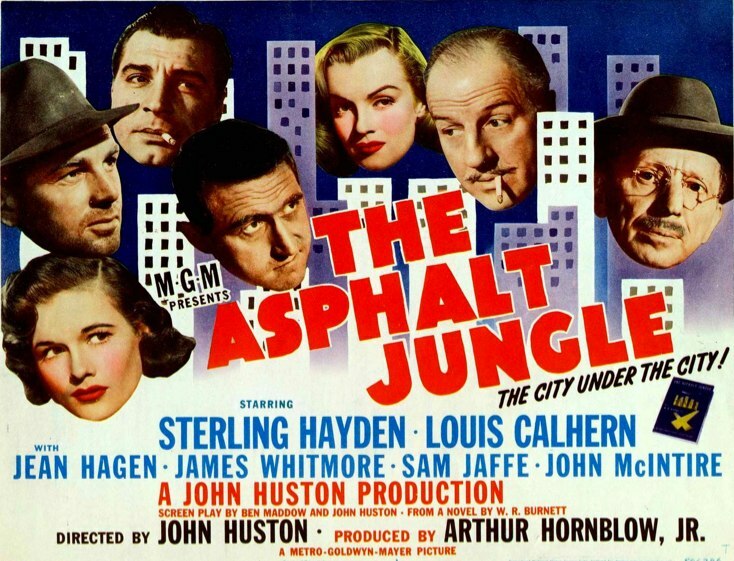 The Asphalt Jungle will be shown on Turner Classic Movies Wednesday, May 6, 2015, at 9:45 PM ET. Posted in 1950, May 1950 and tagged Anthony Caruso, Film Noir, Harold Rosson, James Whitmore, Jean Hagen, John Huston, Louis Calhern, Marc Lawrence, Marilyn Monroe, Metro-Goldwyn-Mayer, Miklós Rózsa, Sam Jaffe, Sterling Hayden, W.R. Burnett. Bookmark the permalink. Fritz Lang’s Cloak and Dagger is the best espionage thriller I’ve seen since Alfred Hitchcock’s Foreign Correspondent (1940). Like that film, it doesn’t have the over-the-top stunts or pyrotechnics of a modern action movie, but its pacing, plot, and music create a spectacle that is every bit as suspenseful and exciting. Gary Cooper, who is best known for playing stoic men of action, gives a credible performance as bookish physicist Alvah Jesper, a man who finds himself in over his head, but is smart enough and tough enough to find a way out of one tight situation after another. Professor Jesper is recruited by the O.S.S. (the Office of Strategic Services, the U.S. intelligence agency formed during World War II that would eventually become the C.I.A.) and sent to Switzerland to bring his former colleague Dr. Katerin Lodor (Helen Thimig) back to the United States. Dr. Lodor, an elderly woman, escaped through the Alps from Germany, where she was being forced to work on an atomic bomb project for the Nazis. Switzerland is a neutral country, but it’s lousy with agents of the Gestapo, and Dr. Lodor’s life is in peril. Immediately, there are two implausible aspects of the plot that you have to get over to suspend your disbelief and enjoy the picture. One is that the O.S.S. would recruit a college professor with no experience in the intelligence field to act as an undercover agent merely because he has a personal connection to their target and speaks conversational German. The other is that, by this point in 1946, it was common knowledge that any nuclear research being conducted by the Nazis was mostly smoke and mirrors, and the Third Reich was never close to developing an atomic bomb. There are some great touches, too. When Jesper disembarks in Switzerland, he thinks he’s being smart by casually covering his face with his hand when he walks by a photographer, but it is precisely this action that alerts the Gestapo to the fact that he might be a man worth watching. After Jesper makes contact with Dr. Lodor, she leads him to Dr. Giovanni Polda (Vladimir Sokoloff), another physicist who is being forced by the Nazis to work on their atomic bomb program. Jesper travels to Italy, where he is aided by Italian partisans led by Pinkie (Robert Alda) and the beautiful Gina (Lilli Palmer). Luckily, Jesper is able to pose as a German doctor because the Italian fascist thugs keeping Dr. Polda prisoner in a beautiful villa clearly don’t recognize American-accented German when they hear it. Viewers with an ear for languages probably will. The Italian baddies are led by a man named Luigi, who is played by veteran character actor Marc Lawrence, who had a very long career playing gangsters in Hollywood. His first film role was an uncredited part as a henchman in If I Had a Million (1932), and one of his last was playing Carlo Gambino in the 1996 TV movie Gotti. 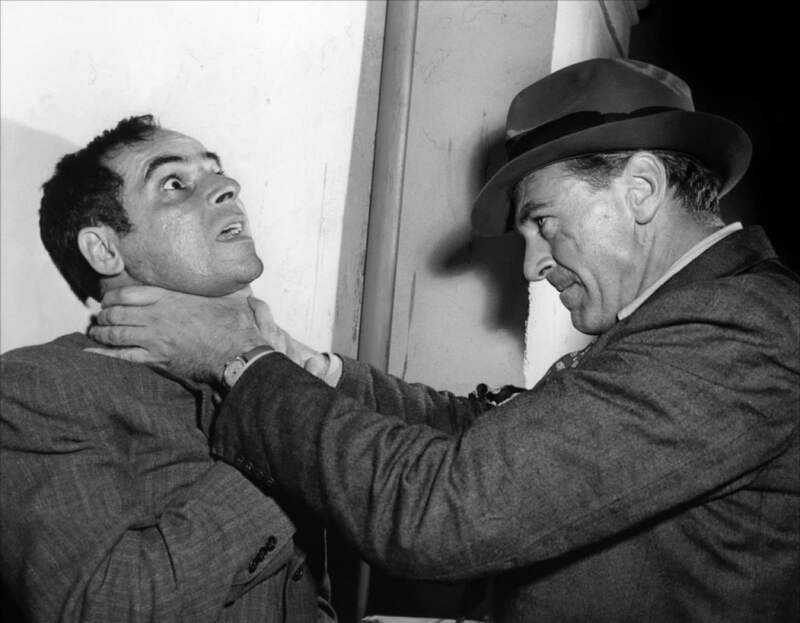 Toward the end of the movie, Cooper and Lawrence square off in the most brutal and realistic fight I’ve seen in a movie from the 1940s. The James Cagney thriller Blood on the Sun (1945) features a great judo fight that was way ahead of its time, but the combat between Jesper and Luigi is a desperate fight to the death, pure and simple. There’s nothing flashy about it, and it’s not overly choreographed. The two men hold each other close, clawing at each other’s faces, choking each other, kicking at weak points, and twisting back fingers and arms. It’s over in less than 90 seconds, but its impact lasts for the rest of the movie. 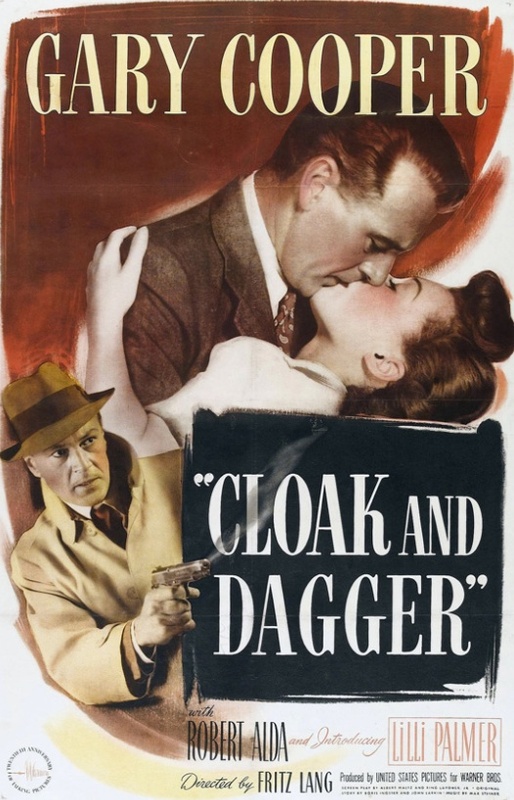 The screenplay for Cloak and Dagger was written by Albert Maltz and Ring Lardner, Jr., based on a story by Boris Ingster and John Larkin, and “suggested” by the 1946 nonfiction book Cloak and Dagger: The Secret Story of O.S.S., by Corey Ford and Alastair MacBain. Director Lang is best known for the films he made when he still lived in Germany, such as the silent science fiction opus Metropolis (1927), the chilling portrait of a child killer M (1931), and the crime thriller The Testament of Dr. Mabuse (1933), but Lang was a master craftsman at every stage of his career, even when doing for-hire work like this. Posted in 1946, September 1946 and tagged Alastair MacBain, Albert Maltz, Boris Ingster, Charles Marsh, Christian Nyby, Cloak and Dagger, Corey Ford, Dan Seymour, Don Turner, Espionage Thrillers, Eugene Borden, Frederic Brunn, Fritz Lang, Gary Cooper, Helen Thimig, Hella Crossley, J. Edward Bromberg, James Flavin, John Larkin, Lex Barker, Lilli Palmer, Ludwig Stössel, Marc Lawrence, Marjorie Hoshelle, Max Steiner, Milton Sperling, Neyle Morrow, Patrick O'Moore, Ring Lardner Jr., Robert Alda, Sol Polito, Vladimir Sokoloff, Warner Bros.. Bookmark the permalink.